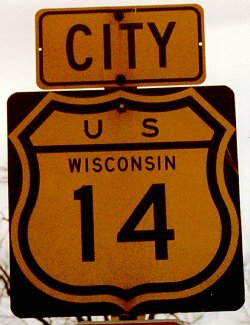 The Eisenhower Interstate System. 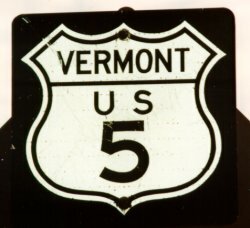 Used at state lines, entrances from rest areas, and at some intersections with other interstates. 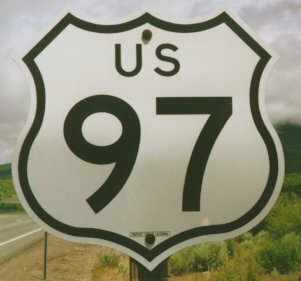 U.S. 101 in California. 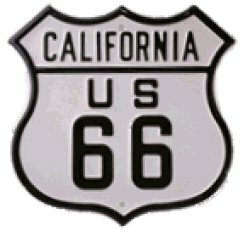 This cutout style is currently being used for all U.S. highways in California. 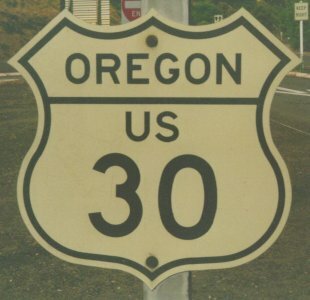 Some other states use a similar style sporadically. 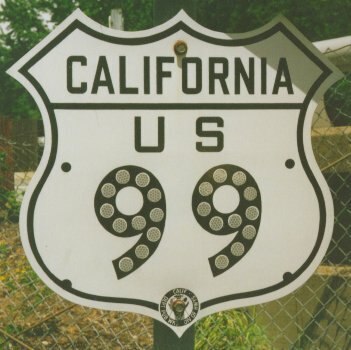 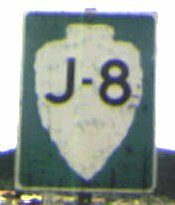 Old style U.S. 99 sign in California. 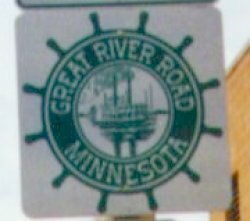 Note the embedded reflectors. 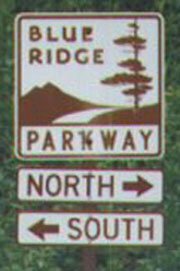 The Blue Ridge Parkway runs through Virginia and North Carolina. 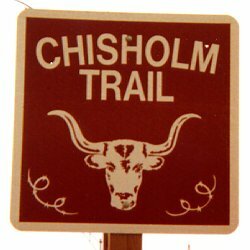 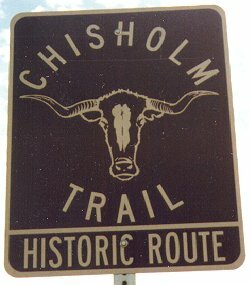 The Chisholm Trail runs through Kansas, Oklahoma, and Texas. 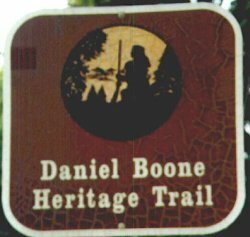 The Daniel Boone Heritage Trail runs through Kentucky, Tennessee, Virginia, and North Carolina. 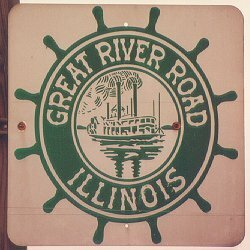 The Great River Road goes along both sides of the Mississippi River through Minnesota, Iowa, Missouri, Arkansas, Louisiana, Mississippi, Tennessee, Kentucky, Illinois, and Wisconsin. 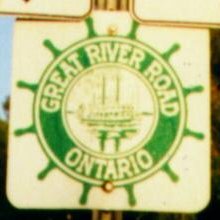 For some reason, the Canadian province of Ontario also has a Great River Road. 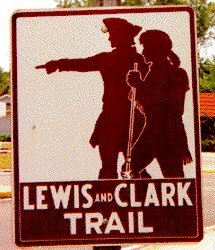 The Lewis and Clark National Historic Trail travels 3,700 miles (5,960 km) through Illinois, Missouri, Kansas, Iowa, Nebraska, South Dakota, North Dakota, Montana, Idaho, Oregon, and Washington. 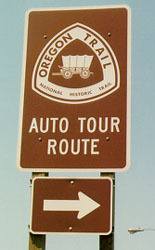 The Oregon National Historic Trail is 2,170 miles (3,495 km) long. 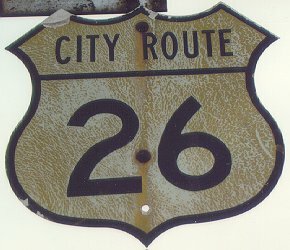 It starts in Independence, Missouri and passes through Missouri, Kansas, Nebraska, Wyoming, Idaho and Oregon, ending in Oregon City. 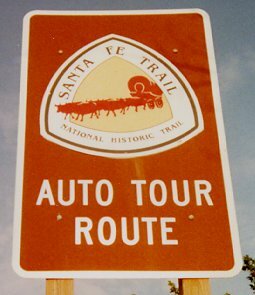 The Santa Fe National Historic Trail travels 1,203 miles (1,937 km) between Old Franklin, Missouri and Santa Fe, New Mexico. 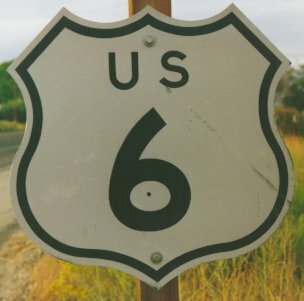 This picture was taken near Admire, Kansas. 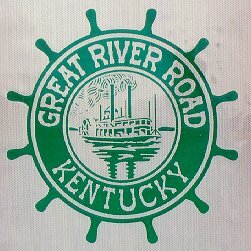 The shield shape is also used alone.